This week we dedicate our post to Carnival, that period of celebration and debauchery before Lent. Carnival, although associated with countries of Catholic tradition, is one of the most international pagan festivals in the world. From the famous Carnival of Rio de Janeiro, to the elegant Venice, through the Cádiz of chirigotas or Santa Cruz de Tenerife and its spectacular queens. Each region has its own traditions, often related to ancient indigenous beliefs, as in Latin America, where they look imposing floats, luxurious costumes and dance without end in their famous corsódromos and sambadromos. 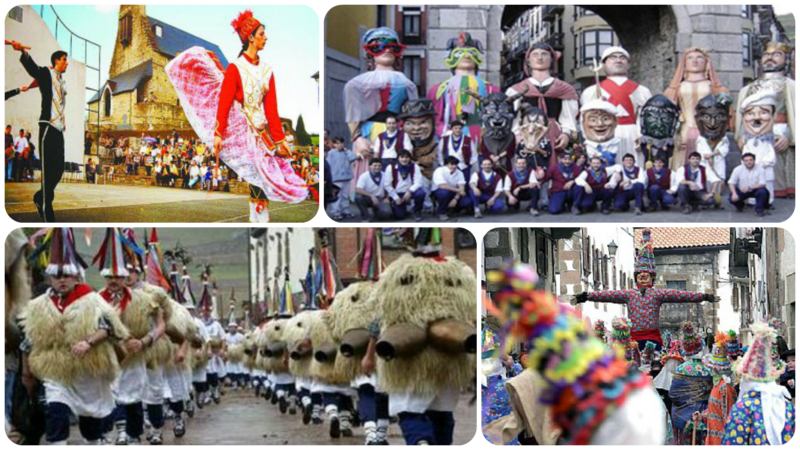 In the Basque-Navarran culture there are also famous carnivals inauteriak in Basque-, such as the one in Tolosa, characterized by its parades of floats, or the one in Lanz, where every Tuesday of the carnival the neighbors represent the capture and death at the stake of the villain Miel Otxin. Also noteworthy is the Maskarada of Zuberoa that travels through different towns in the region representing their dances. And we can not fail to mention the Joaldunak, better known as Zanpantzar, who travel the villages dressed in sheep’s clothing and conical hats with colored ribbons to the rhythm of their bells. 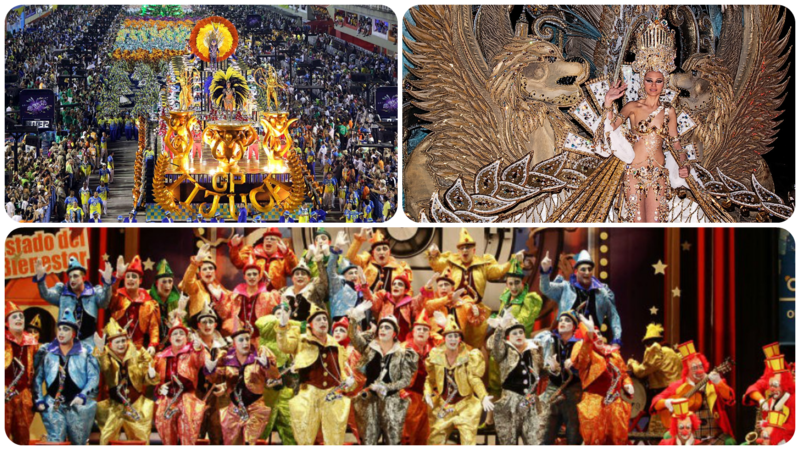 A real show, this of the Carnival, that we can not miss!